Stuck in a cubicle with a beautiful wallpaper as the closest thing to travel inspiration? In this day, travel is supposed to be easy: pack your bags and book a ticket. But often it’s not. 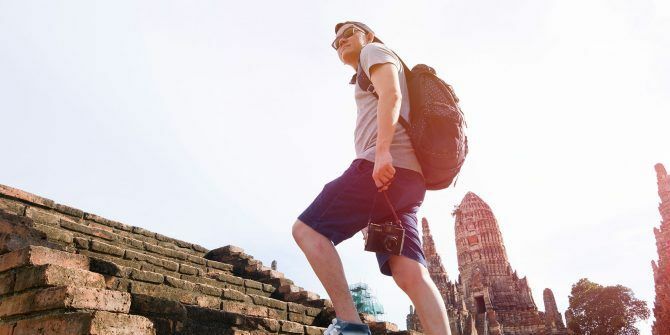 Time is a major hurdle and the time to research the next great travel spot 5 Sites for Last-Minute Travel Deals, Destinations, and Tips 5 Sites for Last-Minute Travel Deals, Destinations, and Tips Haven't made your travel plans yet? When you do get a chance to travel at the last minute, these sites and apps will help find the best deal possible. Read More is a procrastination trigger. But why should you let time and laziness get you down when apps can do the heavy lifting? Outings is a neat app from Microsoft that aims to be the next star in the galaxy of travel assistants. For now, it is only available in the US store. Outings is a free personalized travel discovery app. Install it on iOS or Android and discover spots for short micro-excursions or more involved trips. You might end up on outdoor adventures, historical sites, urban trips, kid-friendly activities, beautiful vistas, or other worthy finds. Outings will personalize the travel search by asking you to choose your top five interests. For instance, it can be “Winter recreation” or “Marine life”. Based on these, Outings will create a curated list of destinations and stories from different travel blogs. You can find them under the Discover tab as large beautiful swippable cards. Start saving the cards and build your travel bucket list. You can also share them with your travel buddies. Or just flag them if you have already been there. Look through the Nearby tab and see what’s close by. It’s a great tool to discover your own city or the places we overlook in search of a grand adventure in some country far away. Micro-excursions also give you a breather before dreaded Monday strikes again. Beautiful photos always make me scratch my own itch to just pack my bags and run out of the door. The photos on Outings will do the same for you. Remember, the fun of any trip is in its anticipation.